You can Teach Parents to build their child’s Self Esteem. 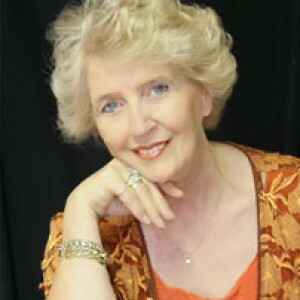 Study with Joane Goulding, the creator of this process and become a Goulding SleepTalk® for Children Consultant. The training offers a guaranteed 6 months of support. You are invited to apply to become a Goulding SleepTalk® for Children consultant. Acceptance into the 6 month guaranteed support program to become a consultant is being offered to professionals with qualifications and experience in an appropriate field of the ‘helping professions’, e.g., Clinical Hypnotherapy, Health Care, Communication, Psychology, Education, Human Resources, Naturopathy or Counselling. Current membership of an appropriate, relevant health related professional association is required. This 6 month course of study will commence with an Intensive 2 days of practical training on site for Level I and II. Level III will be offered via several Webinars. Ongoing support will be offered via SKYPE with your co-trainers, Cheryl Elman or Joane Goulding. The Self-Paced training levels comprise of structured discussions and exercises which covers about 24 hours of practical training plus and offers over all about 120 nominal hours of learning. Participants are encouraged to commence their application of learned skills immediately with case histories becoming part of their assessment structure. Competency is assessed throughout the 6 month course and includes workshop participation and written project-based case history documentation. Graduate Consultant’s certification allows the holder of that award to establish their own Goulding SleepTalk® practice and can apply to be registered on the International SleepTalk® consultant’s website. Analyze the framework of the Goulding SleepTalk® process. Describe the basic considerations and assumptions of the Goulding SleepTalk® process. Develop a communication template objective. Evaluate the relevancy and analyze SleepTalk® feedback statements. to train in the USA directly with Joane Goulding. Since Joanne lives in Melbourne AU, it is a rare opportunity for train with her in the U.S.